If you’re like us, you’ve got big plans for 2016. And now you just need to figure out how to get there. Don’t worry! Whether you’ve vowed to drop a few pounds or become more involved in your community this year, we’ve got some ideas that can seriously lighten your load. Set achievable New Year’s resolutions with these goal-setting tips. Streamline your planning with 50 organization ideas for moms and dads. Establish best practices for recruiting and maintaining volunteers. Reach your 2016 money-making goals with our easy online fundraising tips. You’ve probably got a lot of causes you’re passionate about but you’re not sure where to begin. Don’t let that stop you from making a difference this year! Start small by organizing meal sign ups for a friend who’s recently had a baby or has been ill. Try one of these 60 ideas to better your community. Get inspired when you see how this nonprofit makes a difference by throwing birthday parties for homeless and needy children. Imagine the possibilities for nonprofit organizing! Losing weight can seem overwhelming, but it’s best to take this journey one step at a time. Don't let your hectic schedule hold you back. Try these 10 fitness tips for busy parents. Think beyond “just” exercise. Here are 15 ideas to stay healthy in the new year. Learn how to get your kids active — even if they don’t play sports. Improve the menu options with these easy and healthful snack ideas. The beauty of a new year is a new start. 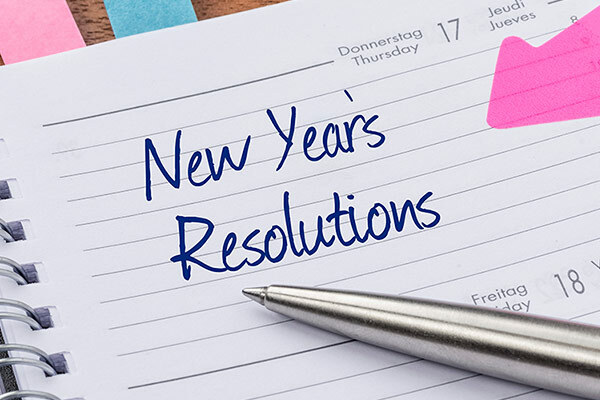 Think about which of your resolutions will actually be achievable and then set specific steps to accomplish them. You’ll be amazed at all the good you can do for yourself and the community!